Kate Spade stepped away from her brand a decade ago, but what happens now? The Kate Spade brand could survive the death last week of its co-founder because Kate Spade the designer handed over the reins to her company years ago.But Spade’s suicide could compound the difficulties facing her newer label, Frances Valentine.Spade, who died Tuesday morning, co-founded her namesake company 25 years ago, bringing color and whimsy to a handbag market filled with dark leather goods. But she sold a majority stake to Neiman Marcus in 1999 and stepped away altogether in 2007. 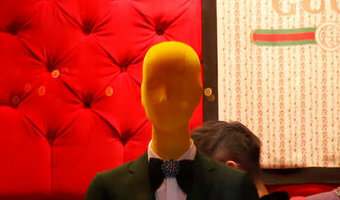 The brand has traded hands twice since and now belongs to Tapestry, the parent company of Coach, which bought it last year for $2.4 billion.“Kate Spade the brand now transcends Kate Spade the person, which is how you know this is a truly successful brand,” said William McComb, the former chief executive of Liz Claiborne (later renamed Fifth & Pacific), which owned the Kate Spade line from 2006 to 2017. “Kate created something that was simple and stylish, modern and fun … [Read more...] about Kate Spade stepped away from her brand a decade ago, but what happens now?